Find the best flag football adult leagues, pickup games and tournaments in the state of Kentucky. 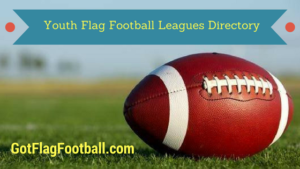 Below you’ll find the top up-to-date for 2019 list of fall, winter, spring and summer, indoor and outdoor local flag football leagues, pickup games and organizations that offer tournaments, organized from the highest to least populated cities and towns in KY.
GotFlagFootball.com brings together the recreational and competitive local flag football Kentucky community of organized leagues, city recreational leagues and pickups in one list (in alphabetical order), so that it’s easy to find a game near you. A comprehensive range of flag football leagues are offered here. There are 8v8 and 7v7 leagues, either for men or co-ed, and leagues play at the same time each week. Games are played indoor and outdoor, depending on the league. Louisville Metro Parks and Recreation department hosts a co-ed adult flag football league for men and women ages eighteen and older. Games are played outdoors on the beautiful 13,000 acres of land. Leagues are hosted in the Fall season as a mens league with up to 7 teams. YMCA of Greater Louisville offers a co-ed flag football league during the Fall. It runs during September and October over a period of 6 weeks. Games are played at 3:30pm and 4:30 pm on Sunday afternoons. A number of leagues are offered here, in the Summer, Spring, and Fall. Leagues are either for men or co-educational, and are competitive or recreational. Games are played outdoors on Sundays. Games are 7v7, and the season runs for 7 games plus playoffs for qualifying teams. This is a Summer league available to men. It is 7 on 7, and games are played on Thursday nights between 6pm and 9pm. There are 7 games in the season, before an elimination tournament is played at the end. Paducah Regional Sports Plex offers a Fall flag football season in its 80,000 square foot indoor facility. There will be six to eight games scheduled per season along with a tournament. Two refs will officiate the games to make hold players to the rules. Players must be 18 years or older. Contact Ben Crenshaw for further details and to register.